Sunday evening March 9th saw the launch of a short documentary by award winning film maker Dearbhla Glynn in an event organised by Afri. Dearbhla’s work as an independent documentary maker has previously shone a spotlight on human rights injustices in the Congo and Gaza. Members of Love Leitrim Eddie Mitchell and Chair Susan Carton were at hand for a Questions and Answers session after the film. The audience were also treated to a traditional music session from well known musicians Steve Cooney and Paddy Keenan in the Glens Centre venue. 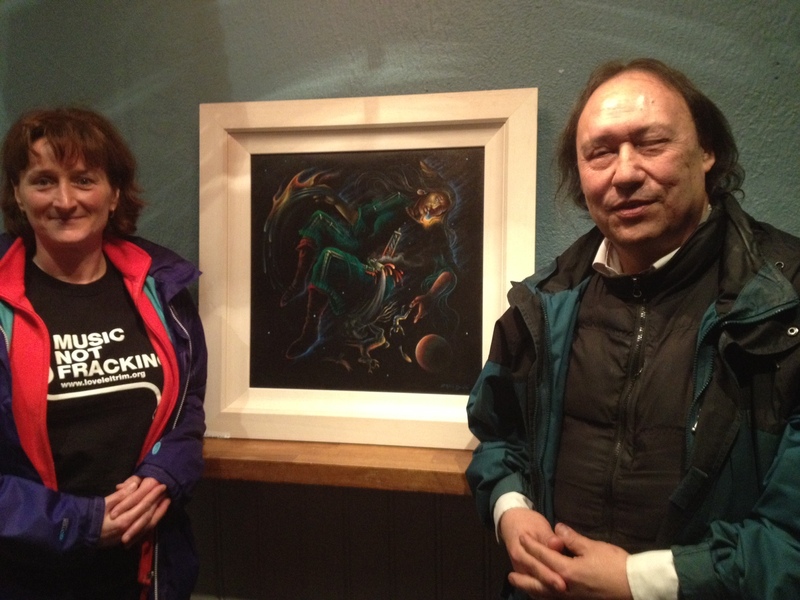 An unexpected highlight of the evening was when renowned Choctaw artist Gary White Deer made a presentation of his painting entitled “Fracking Mother Earth” to Love Leitrim. The Manorhamilton Bhopal Hearts event took place in The Parlour on Main Street Manorhamilton on Monday 3rd December, International Bhopal Day. The event was mounted following the visit in September to the Glens Centre Manorhamilton, organised by Afri and Love Leitrim, of two survivors of the Bhopal disaster, Safreen and Namdev. Safreen, now 19 years old, whose parents are sick as a result of the Union Carbide contamination, walked with her schoolfriends in 2008, all aged 15, from Bhopal to Delhi, 13 days, and handed paper hearts in to the Indian Minister for the Environment, to remind him what a heart is. The message was – clean our water or hearts will stop beating. On 3rd December 1984 in Bhopal, India, a large pesticide plant operated by Union Carbide incurred a catastrophic accident that released toxic gases. 8,000 people died as a result, wiping out entire communities and villages. 600,000 were injured or disabled. Almost 30 years later, illness and diseases associated with the gases continue to cause suffering for the region’s population. Dow Chemicals, one of the sponsors of the London Olympics, took over Union Carbide, and have refused to take responsibility for cleaning up the still-polluted water supply. The Indian government have moved only recently, and slowly, to start to make reparation. 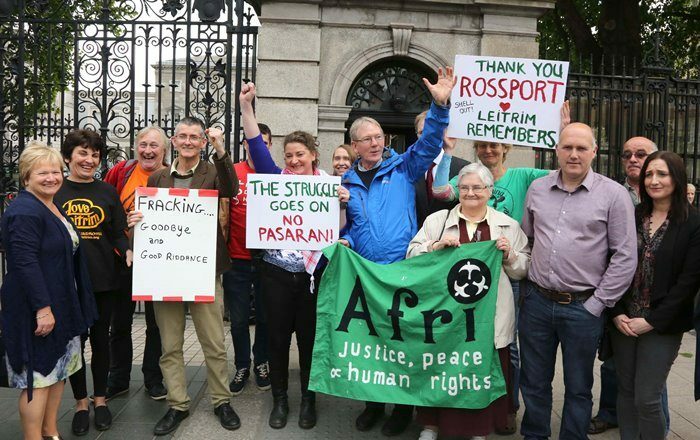 In Manorhamilton, we wanted to mark the terrible legacy of Bhopal, salute the resilience of the coping survivors, and warn of the hazards of poorly-regulated chemical processes introduced into communities. 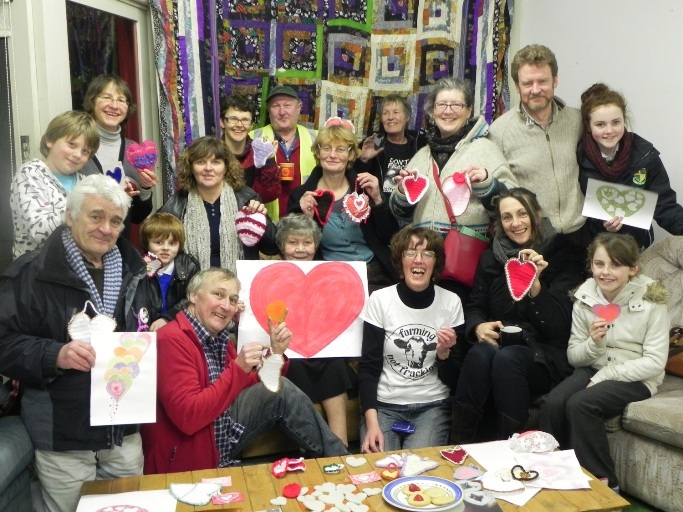 A group of people in Manorhamilton, with artists Jackie and Peggy McKenna, made hearts of various materials – glass, wool, papier-maché and ceramic – which they presented in The Parlour, Main Street as an expression of support from the people of North Leitrim to the survivors of the Bhopal disaster. Manorhamilton Bhopal Hearts were posted to Eamonn Gilmore, Minister for Foreign Affairs, Phil Hogan, Minister for the Environment, Pat Rabbitte, Minister for Communications, Energy and Natural Resources, and the Indian Ambassador. Bhopal Hearts will be hung on the Manorhamilton Christmas tree on Saturday 8th December when its lights will be turned on! 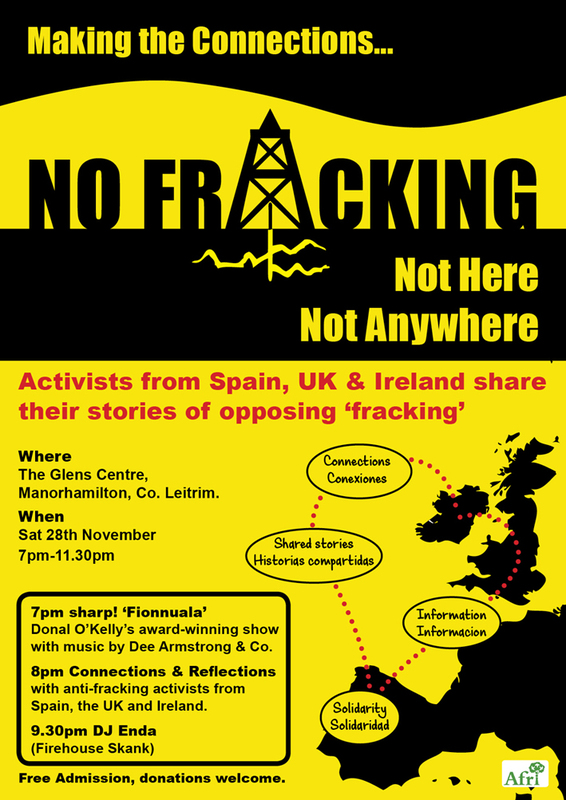 Bhopal, the Leaks and the Legacy: Lessons for Leitrim? 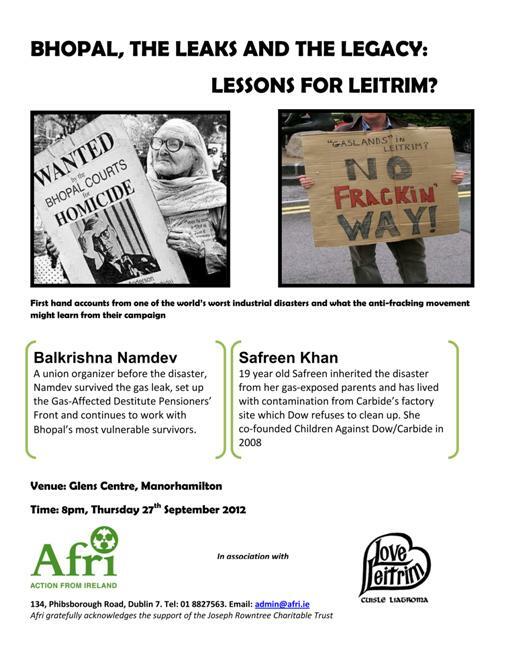 Afri, in association with Love Leitrim, are hosting a talk called “Bhopal, the Leaks and the Legacy: Lessons for Leitrim?” on Thursday, 27th September, in the Glens Centre in Manorhamilton, County Leitrim at 8pm. Speaking at this event will be two activists from Bhopal in India who will be talking about their experiences of campaigning for justice for the victims of the Bhopal disaster. A union organizer before the disaster, Namdev survived the gas leak, set up the Gas‐Affected Destitute Pensioners’ Front and continues to work with Bhopal’s most vulnerable survivors. 19 year old Safreen inherited the disaster from her gas‐exposed parents and has lived with contamination from Carbide’s factory site which Dow refuses to clean up. She co‐founded Children Against Dow/Carbide in 2008.